It's no mystery that our modern-day lifestyles are contributing to this increase in stress that we're seeing. Even if you’re not normally a stressed person, likely there are times you’d benefit from something calming. Readers of this blog probably already know how helpful some essential oils blends can be for anxiety, but in case you’re new to aromatherapy, consider this: a 2011 study reported that schoolteachers working in a high-stress environment who used a bergamot essential oil spray experienced measurable changes to their symptoms. Today we have 5 essential oils that calm the mind and promote peace. You may already love lavender’s light floral fragrance. And it’s no wonder because its benefits are abundant. Among lavender’s many offerings is its proven calming effect. 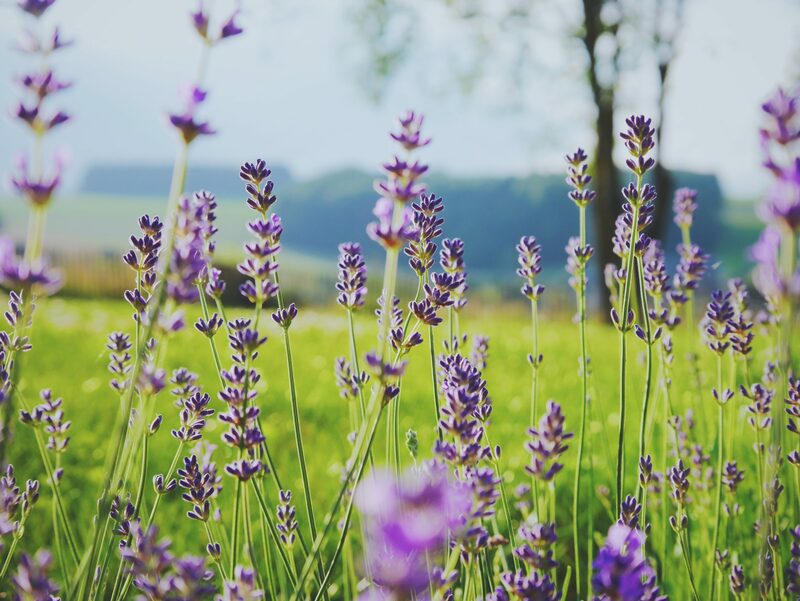 Though lavender helps people get more restful sleep, it doesn’t have a sedative effect. This makes it perfect if you want to go into your day with a calm and clear mind. We recommend putting some lavender in your diffuser while you get ready in the morning or even using a lavender water spray to scent your clothing. Even better: try lavender oil in a massage for double the benefits. Some studies have shown that massage with lavender oil seems to calm more than massage alone. Frankincense, which is the resin from the Boswellia plant, has had its moments in history, but it’s certainly not a thing of the past. Indeed, frankincense is a popular oil for easing tension and calming. It’s said to create a sense of euphoria when used as incense, but you can also add two-three drops in your vaporizer, or simply add a bit to a pan of boiling water and then inhale the steam. This oil comes from an evergreen tree native to Central America. It’s said to be extremely uplifting and refreshing, helping to improve your wellbeing while calming you down at the same time. Peru balsam has an aroma somewhat similar to cinnamon and vanilla with a twist of clove. You may have heard that cedar wood makes a great natural insect repellant, so it may seem strange to see it listed here, as a calming oil, but that’s the wonder of nature! This oil is considered excellent for promoting restful sleep, something that can help calm you down when you’re feeling stressed. To help yourself slip into sleep, add just a drop of cedar wood oil to a carrier oil that works for your particular skin type. Massage your cheek bones, between your eye brows, and the sides of your temples. This is also a fun thing to do with a partner. You’ll be gliding into dreamland in no time. This oil comes from a perennial grass native to India that has tall stems and long leaves, with brownish-purple flowers. The oil is actually distilled from the plant’s roots, and has a strong, woody aroma. This oil is a star when it comes to calming. Similar to cedar wood, vetiver is very high in sesquiterpenes. Herbalists recommend combining vetiver with cedar wood and even a little juniper to calm and ease symptoms like unease or a lump in the throat. 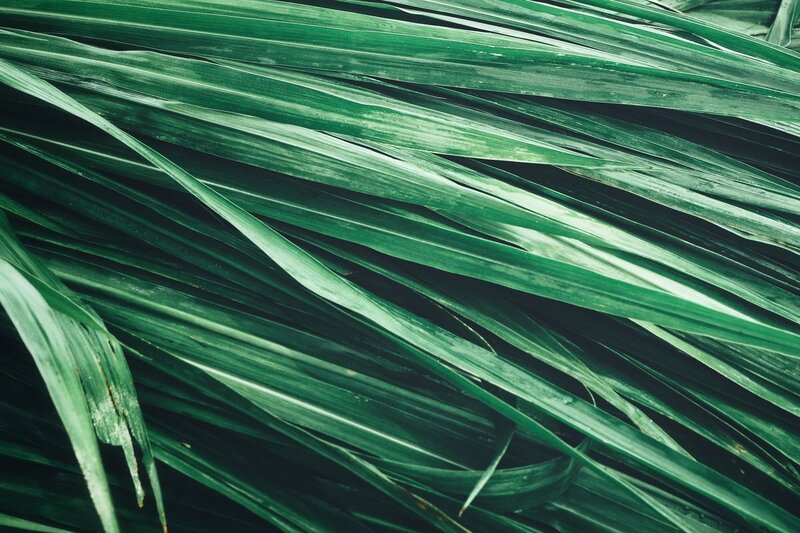 We recommend using vetiver at work to help you relax while also being productive. Do you use aromatherapy to keep yourself calm? Please share any tips you may have with our readers. Since I am very new to essential oils and aromatherapy your articles on these topics interest me very much. So thank you AnnMarie! I really appreciate that you have done the research on essential oils. There is way too much information out there and I don’t know who I can trust. But since Kris Carr trusts Annmarie, that’s good enough for me! Thank you – I will be purchasing from you! I use vetiver on the bottom of my feet before bed which helps me feel very relaxed and sleep all night. We also use the diffuser throughout our house. I love my oils. As usual, such great information. I have never heard of Peru Balsam. I’ll be on the lookout for it. There are some good, reputable oils out there – Young Living is one and Do Terra is another. I’m not sure about Young Living, but Do Terra is therapeutic quality. Their strength and quality is far superior to any “OTC” that I have ever purchased. I not only appreciate the article, but reading the great comments as well. I’m going to check out the Ameo oils. I add a few drops of a mixed blend called “Medieval Mix” to my fountain in my home office, so it permeates the whole house, and I also have my massage therapist add it to the lotion during my massages! “Medieval Mix is blend of: sweet orange oil, lavender oil, lemon oil, tea tree oil, eucalyptus oil, red thyme oil, white thyme oil, and rosemary oil! Soooooothing! I discovered aromatherapy about 1994 while working at an herb farm. It worked wonders on my 3 teenagers. Kept them calm and relaxed, thanks to mother nature for safe and effective remedy. I only use Young Living Therapeutic Grade oils which are safe topically and by mouth. Would not use the drugstore varieties either way. Thanks to Annmarie for using only the purest ingredients! I have recently learned of a new contender in the seemingly endless world of essential oils. The company is called Ameo, and they are supposedly the first to receive a grade of clinical for their oils, which are supposed to be able to penetrate the cells. I haven’t tried it, but it comes highly recommended from a family I would trust. Something to maybe consider. Decades ago I was hit in the head in a car accident and have had no sense of smell since then. I can taste sweet sour salt bitter etc, and feel the texture of food, but there is no actual scent. Kind of like when you have a stuffed up nose and can’t smell, only I’m used to it by now. But, will essential oils have their beneficial effect on me if I can’t smell them? Every morning when I come into my little cottage where I work I spray Annmarie Gianni’s Veroli Toning Mist in the air above each of our work stations. It adds a wonderful energy to the air. Just a thought on Cedarwood it may be very relaxing and calming but for me and others it has been known to bring up deep seated emotional issues and may give you disturbing dreams to release old traumas…. I’m a certified aromatherapist and I can recommend several sources reputable sources for essential oils. Aromatics International and Pompeii Organics are my go to. Both have wonderful websites that provide GC/MS reports as well as the date and place of distillation.